There are some awesome gadgets available for geeks to love, nurture and worship for this Christmas, and these three in particular stick out as something that everyone with a love for things that go beep is sure to love this Holiday season. The iPod Touch keeps on getting better. Much more than just a music player, you can enjoy movies and TV shows, games, podcasts, books and much more, along with internet access and the joys of the Apple App Store, giving you countless free add-ons as well as paid apps to browse through. I have one of these myself and generally use it as a communications device for email, Twitter (TweetDeck is AWESOME on an iPod Touch), but when travelling, you can’t beat these things as an all-round entertainment device. The accelerometer has been improved with each model, making the widescreen gaming possibilities even better. These things make perfect geek gifts, and of course they are available in a range of disk capacities. 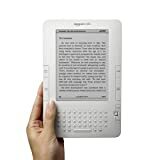 The latest version of Amazon’s e-reader has been something of a hit with book and gadget lovers everywhere. Now that the Amazon Kindle store supports international Wi-Fi, millions more people have the option of enjoying this groundbreaking device. The screen has improved with this latest version, and the number of titles available to download directly to your Kindle keeps on growing all the time. It would make a brilliant Christmas gift for a true geek. Now, if only Amazon would open up their DTP project to worldwide users, it would be even better! 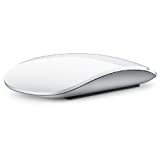 This awesome new version of the classic mouse ships with all new iMacs, but the Apple Magic Mouse is also available separately, and works with any Bluetooth enabled Mac. This thing has to be seen to be believed. Using the same multitouch feature as the iPhone, iPod Touch and the trackpads on Apple laptops, it allows you to scroll anywhere with one finger, swipe through pics and sites with two fingers, and click or double click anywhere you like. It does take a little getting used to, but once you’re into it, you’ll never turn back. Brilliant for any Mac user this Christmas!